Salary and Payment: - INR Rs. 11765 - 31,540/- (for Clerical Cadre), Rs. 23,700 - 42,020/- (for Officer Cadre). 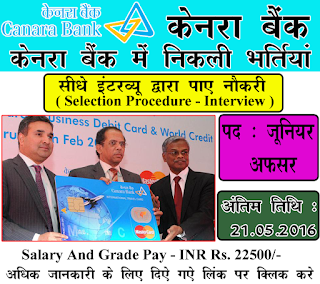 How To Apply: - All Student Need to Download application Form through official website http://www.canarabank.com. After Filling The application form, candidate must send hard copy of application along with relevant testimonials to the following Address before on Last Date 10-03-2017. 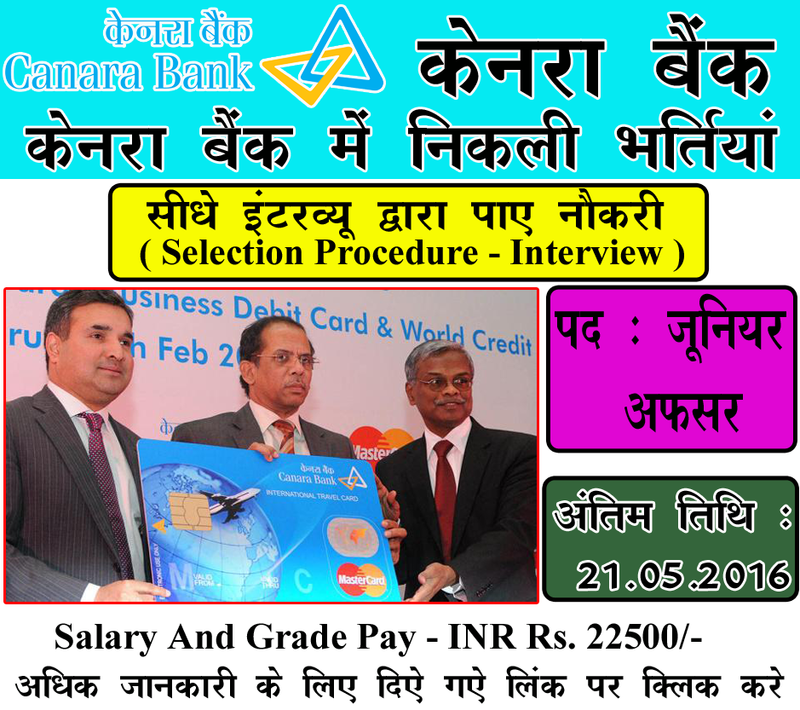 Address to send App Form: -Deputy General Manager, Canara Bank, Personal Management Section Human Resource Wing, 112 JC Road, Banglore 560002. Last Date :-Last Date for Filing of Offline Application Form Is: 10-03-2017 .